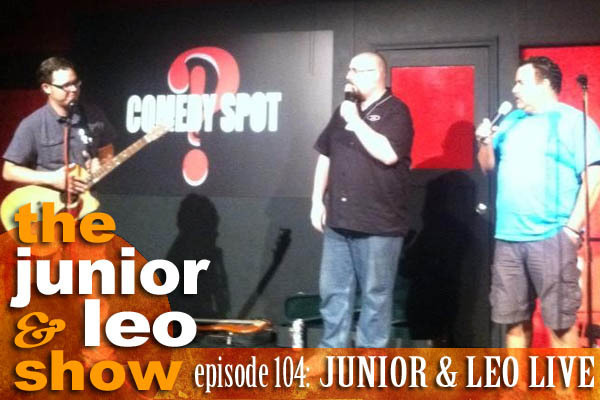 On this LIVE episode of The Junior & Leo Show we've got the masterminds behind the great geek comedy show, Critical Hit (Nick & Micaela Pettigrew)! We've also got comedy from Michael O'Connell (Comedians with Disabilities, The Mikes), and the sweet tunage of dynamic duo, Swahili Passion! We got it all, recorded LIVE at the Sacramento Comedy Spot. For more Critical Hit go here. For more Michael O'Connell go here. For more Swahili Passion go here.